This is how I am embracing 2019 with fun and realistic expectations. After ringing in the new year, most of my friends kickstart their resolutions by signing up for the gym, getting a general checkup, or/and starting a new diet. In my case, I like to take a few days to actually think what I want 2019 to look like and analyze how I can attain my goals. 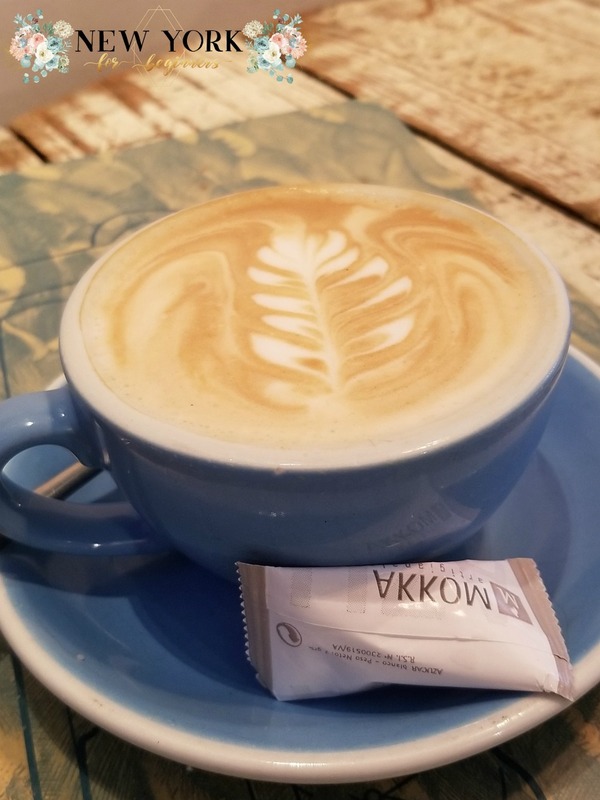 Unrealistic expectations have more than often sabotaged my New Year’s resolutions, so I have decided that 2019 will be about making small changes on a consistent manner. Ever since I moved to New York City, my mornings are just a source of stress. As much as I’d like to jumpstart my day with joy and peace, the impending doom of having to commute across town saps my energy and actually slows me down. Thanks to my Holiday Gift Guides, I learned about a publisher that creates a science-based Morning Sidekick journal to conquer the mornings with grace, poise, and joy. Habit Nest designs very unique habit companions that help trigger change with a little daily commitment. 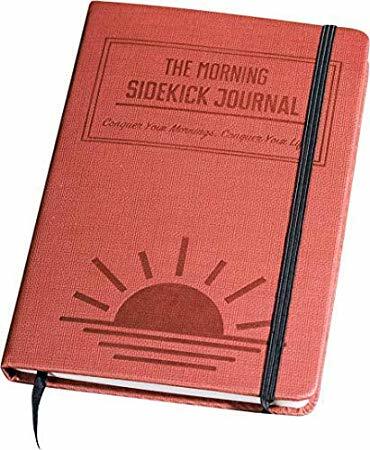 So I decided to give the Morning Sidekick journal a try. What I love most about it is that it just takes 5 minutes to complete your daily planning yet allows yourself to be fully accountable. One of the problems I struggle with is adapting to American dinner times, which are much earlier than those in Spain, and thus having an earlier lights out time. Thanks to this journal, I have been able to rationalize why I need to change my habits and have gone through the “Hell Week” seemlessly. Another thing I loved about this journal is that it takes into account who you are, who you want to be, and allows you to dig deep into the tasks that need to be taken care of without stressing your soul out. A true exercise of conscious mindfulness, this is a wonderful aide that so far is helping me reconquer my mornings and my commute without the lingering feeling of rush, MTA shenanigans or not. The Morning Sidekick Journal by Habit Nest. Price: $31.90. 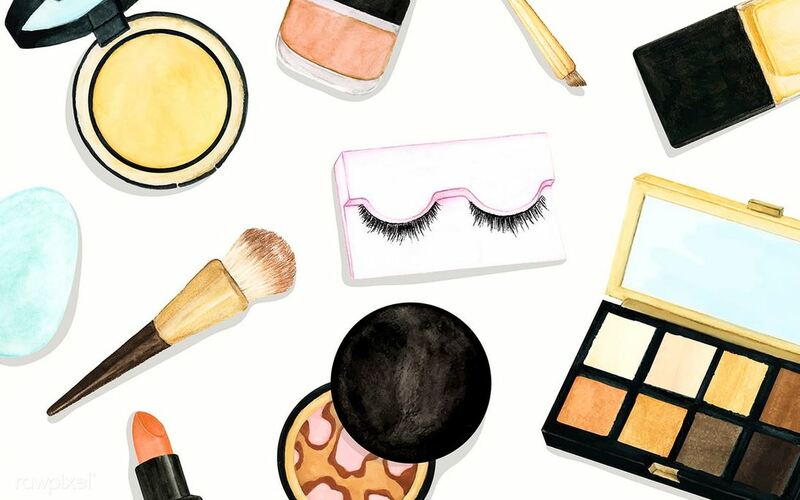 Ever since I started a minimalistic lifestyle due to the size of my New York apartments, I decided to invest in less makeup products but with a better quality. However, one of the things I terribly miss is the light I had in Madrid. It literally inundated my apartment and allowed me to do a perfect cat eye with the stroke of a brush. 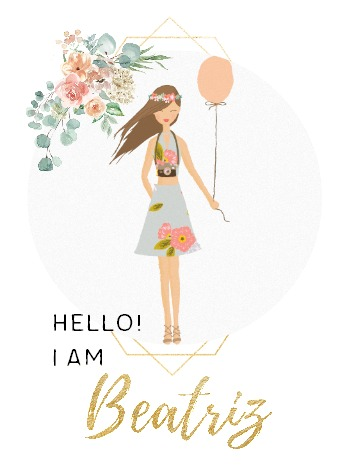 A few weeks ago, I unexpectedly came across what I consider to be the best makeup mirror for short-sighted gals. 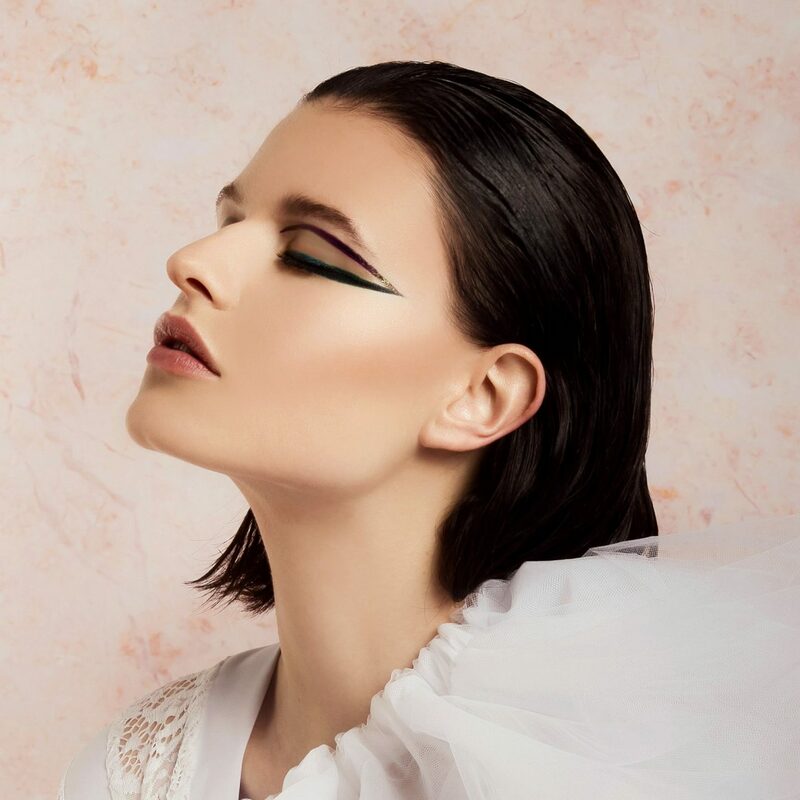 GoodJanes has launched a patented three angled mirror system that is perfect for applying falsies at home, and I discovered it is perfect to create the best eye looks in my sun-filled bedroom. 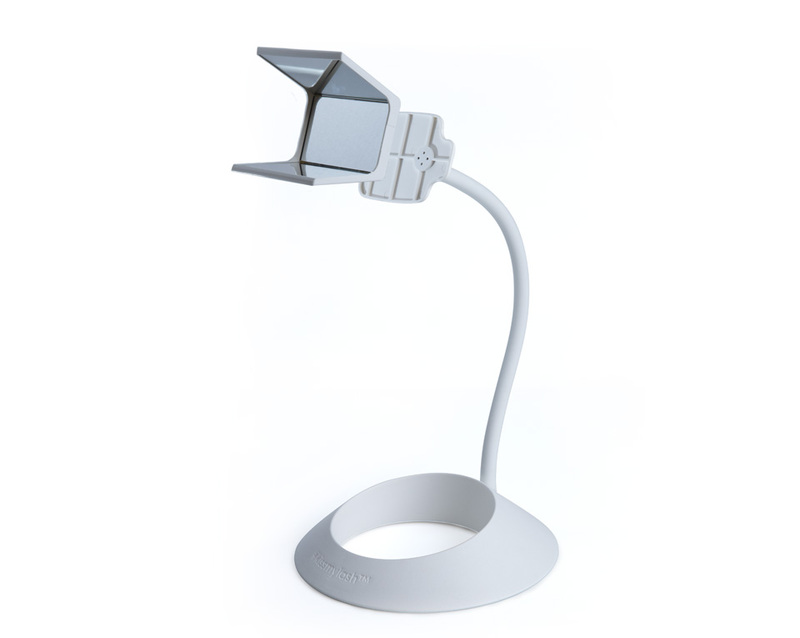 The genius Kiss My Lash mirror can be handheld, set on a table, or attached to the Kiss My Lash stand for a perfect 360-degree view of the eye area. Most of my failed eye makeup looks are due to the fact that I am shortsighted, and applying makeup without glasses in a dark bathroom is not ideal. This mirror is constructed with a base and side mirrors extending at obtuse angles (aka the problematic zones) to see the upper and lower lash line simultaneously for a flawless lash and makeup application. Also, its very own shape allows me to get as close as I want without poking my eye with the pencil (please don’t judge me; I am shortsighted.) So now I am slowly reclaiming my eye makeup artistry and slowly experimenting with my new clean beauty supplies that I will start showing you very soon! You can find the GoodJanes Kiss My Lash Mirror and Mirror Stand bundle on Amazon. Price: $29.99. Although I have to say I am one of those rare people that cook every day, I still find myself tempted by the myriad of processed foods in the supermarket, which promise to cut back the time I spend on the kitchen so I can enjoy an extra episode of Nailed It! on TV. The latest New Hope Blogger Box introduced me to two fun solution to my cooking woes. 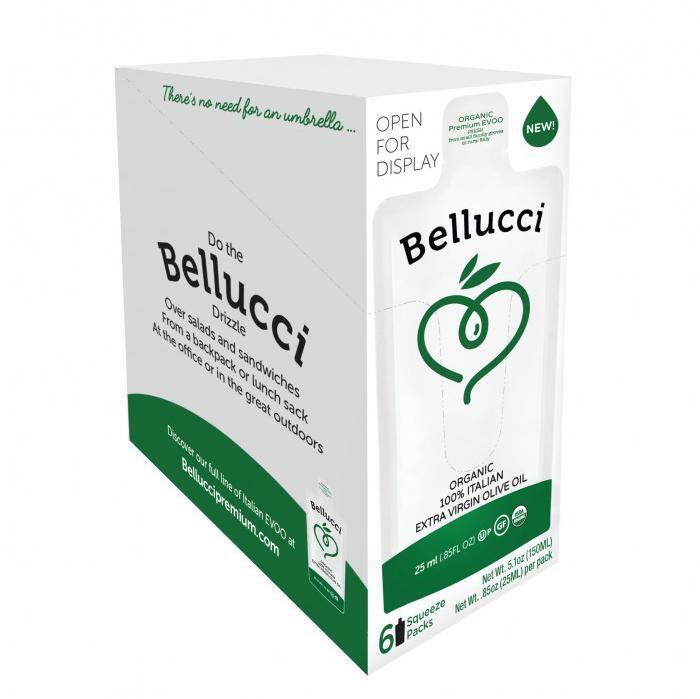 The first is the Organic Olive Oil Squeeze Pack by Bellucci, a lifesaver for those of us who can’t eat a whole salad with an extra side of TLC. 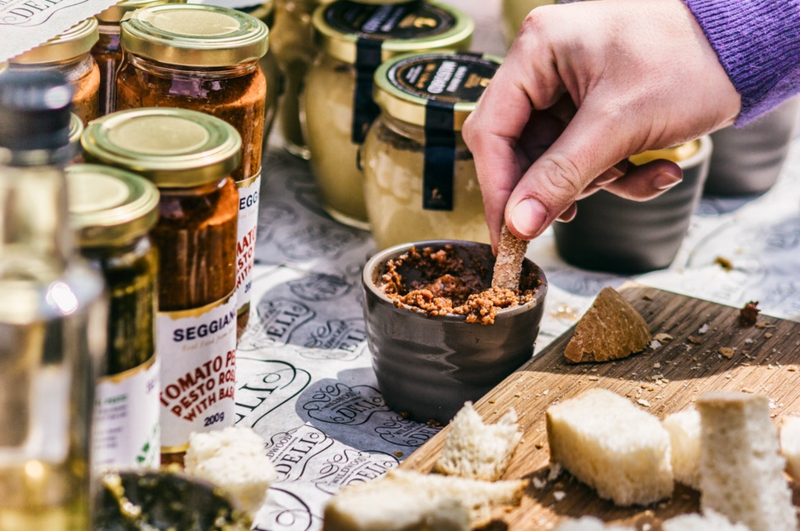 A wonderful alternative to sauces, this high-quality EVOO is a perfect single-serving size that can be carried anywhere in my purse (in case you are wondering, I pop a couple inside a Ziploc to avoid any spills if the train is extremely packed.) Hello, Mediterranean Diet! 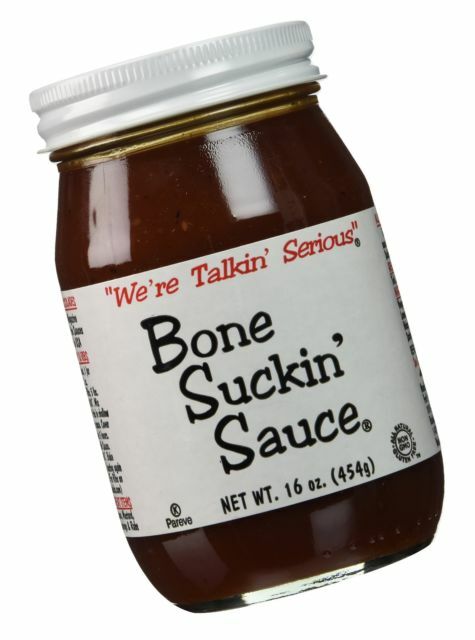 The second product that really stood out is Ford’s Gourmet Foods’ Bone Suckin’ Sauce. Getting a true BBQ flavor without the nasties is virtually impossible, and I end up giving up and chugging whatever is available at my local supermarket. What I love about this sauce is that it is delicious, and it doesn’t contain any suspicious ingredients (I’m looking at you, creepy preservatives and fake tomato paste!) I just boil my ribs first, marinate them with the sauce, and put them in the oven for a finger licking experience. Yummy! 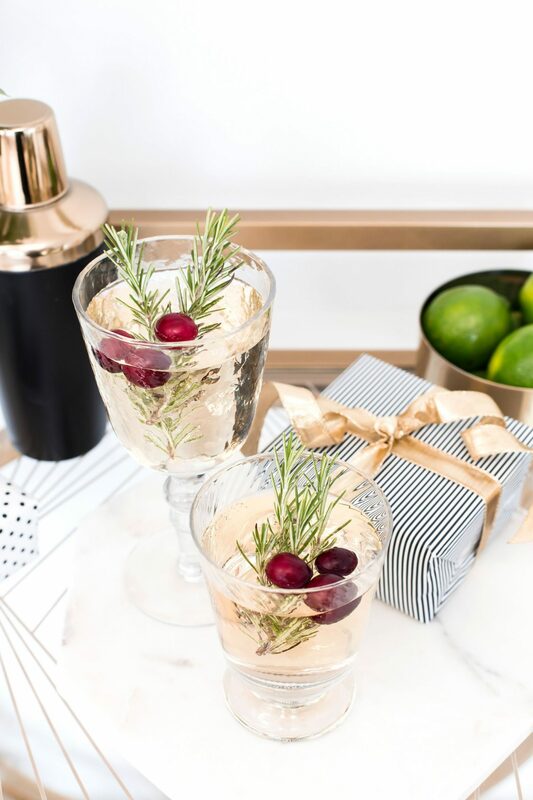 I know this may come as a surprise, but I personally don’t drink alcohol (the other writers on this site do, so that is why we can make solid recommendations on our Holiday Gift Guides, in case you are wondering!) Dry January is a very fun concept for me because I am able to find a lot of mocktail recipes for my parties. However, after a while it gets tiring because they tend to be overly sweet. 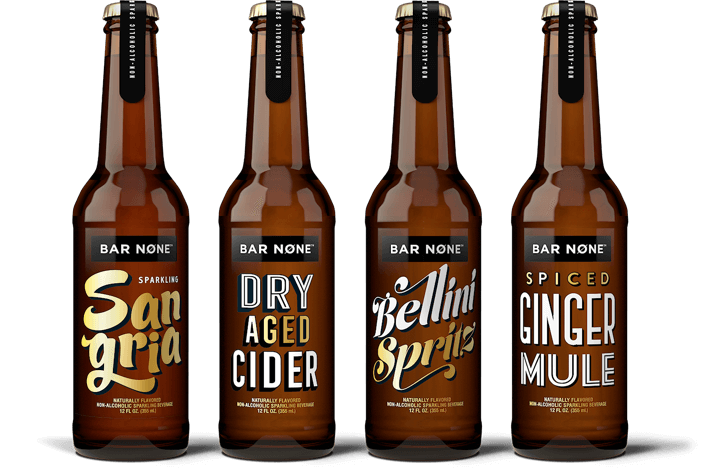 I recently discovered Bar None, a non-alcoholic collection of bar-inspired drinks crafted from premium ingredients that can be enjoyed on the rocks or mixed with spirits. And this will blow your mind: This is a side project launched by Coca-Cola after a few of their execs realized there were not many interesting non-alcoholic options when they went out to work dinners or house parties. Much like yours truly, if they felt they didn’t want to booze it up, they basically could choose from club soda (which btw tastes horrible) or a bunch of non-alcoholic beers. Bar None has recently launched four sophisticated drinks for those of us who decide not to drink alcohol. With a grown-up punch and a well-rounded flavor, Bar None offers Sparkling Sangria (my personal favorite), Dry Aged Cider, Bellini Spritz, and Spiced Ginger Mule keeping their original spirit (but without the spirits.) They are definitely drinks that I look forward to having during a fun night out or a classy dinner. Because Bar None is a relatively new brand, if you want to taste their booz-less concoctions you can order them from their site. You might now by now that I am a big fan of the Buy Local movement. I believe there is space in the world for both retail and brick-and-mortar stores, and I like to vote with my dollars by doing most of my shopping in my neighborhood. Small businesses play a vital role in the economy by enriching their local communities, creating jobs, and revitalizing the manufacturing sector in the USA. 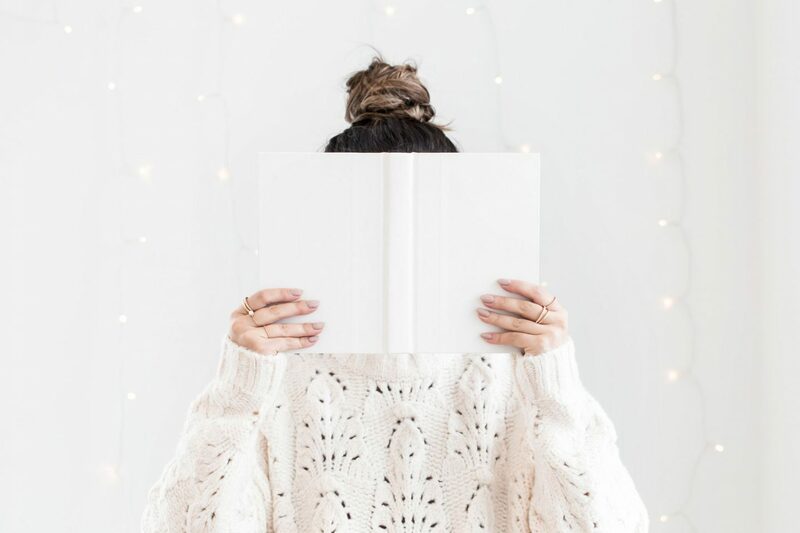 One of my resolutions for 2019 is supporting more local, women-owned businesses, by making mindful purchases and sharing my clean beauty discoveries with you guys. Along these lines, Smarty Pits has been my first green beauty discovery of 2019 thanks to New Hope Network. 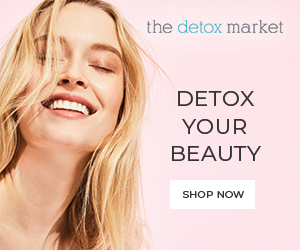 They lovingly manufacture by hand their wonderful aluminum-free natural deodorants and reinvest a portion of their sales in fighting breast cancer. 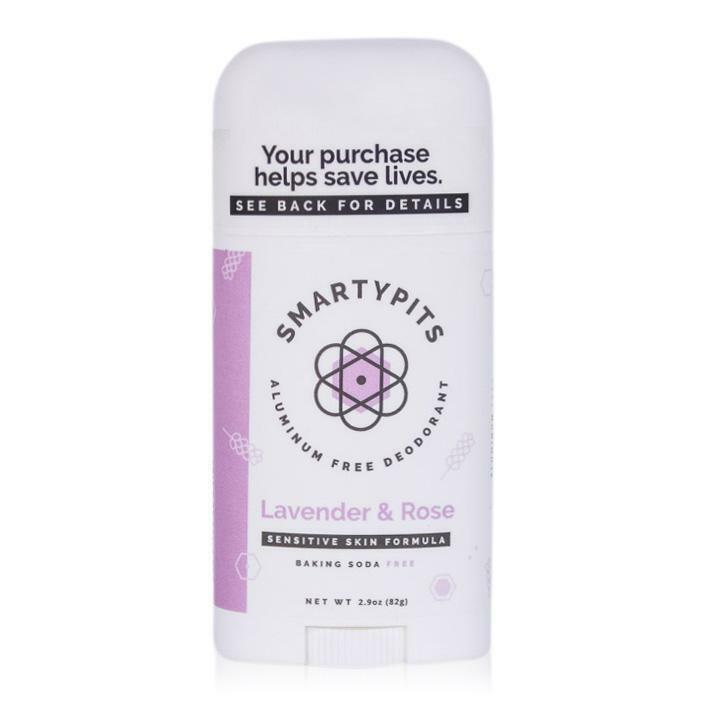 Smooth, practical, and filled with probiotics and natural goodness, Smarty Pits works wonderfully well by keeping odors at bay with a savvy mix of baking soda and essential oils. Plus, the lavender rose scent is very pleasant without being too present, which allows me to wear my favorite perfume. This article contains affiliate links. We received samples of some of the products for editorial consideration.